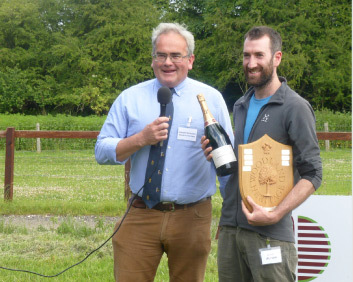 The Peter Savill Award for a significant contribution to British Forestry was inaugurated in 2007, with The Prince of Wales Award for the best student on the Woodland to Workshop course commencing in 2010, both being awarded annually since then by Woodland Heritage, normally during the Field Weekend. 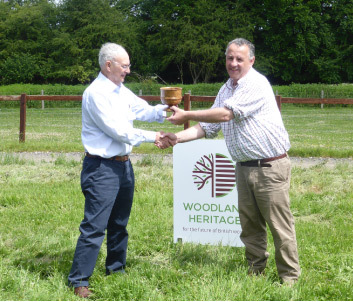 Each year Woodland Heritage awards a prize to recognise the contribution of an individual who has significantly benefited British forestry. The contribution to forestry made by the selected individual must be in sympathy with the objectives of Woodland Heritage, and in one of the following areas of forestry: silviculture; research; marketing; wood processing; education. Normally the prize will focus on a contribution to one of the above areas with an emphasis on Britain, broadleaves and lowland forestry, although not exclusively so. Up until September 2006, when he retired, Peter was a Reader in Forestry, Oxford Forestry Institute, Department of Plant Sciences, University of Oxford and a Fellow of Linacre College and University of Oxford. Peter was a Woodland Heritage Trustee for 17 years from 1999 to 2016, is currently Chair of Trustees of the Sylva Foundation, a former Chairman of Future Trees Trust and has published numerous papers, books and publications. The Trustees of Woodland Heritage were delighted in 2010 to announce that our Patron, His Royal Highness The Prince of Wales, was to generously give a trophy to our charity, ‘The Prince of Wales Award’ , which has been presented annually since then, to an outstanding young person who has attended the ‘Woodland to Workshop’ course. We have now entered the tenth year of our courses and by the end of this year over 250 individuals will have benefited from this unique experience. The tutors are delighted with how well the course has been received and are particularly encouraged by the enthusiasm of those taking part. It gives us great hope for the future!